In a surprising turn of events, Yamaha has decided to equip its entry-level supersport, the R15 v3.0, with dual-channel ABS instead of a single-channel unit. This makes it the first 150cc motorcycle in the country to get a dual-channel system. Given the sporty nature plus the added performance advantage that the R15 has over its peers, we feel the choice of speccing it out with dual-channel ABS is the right one. The dual-channel equipped variant is 3kg heavier than the standard model, which weighs 142kg. The addition of the essential safety feature has resulted in a price hike of around Rs 12,000, which is par for the course. 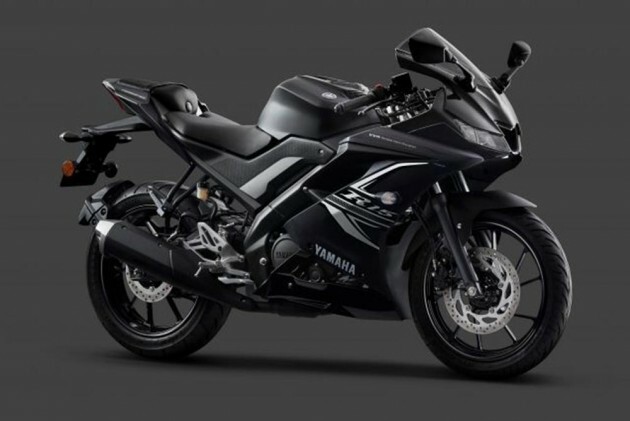 The new variant is priced at Rs 1.39 lakh (ex-showroom Delhi), Yamaha has also introduced a new Darknight colour that imparts a dark, brooding feel to the R15. However, you need to shell out two grand more for this paint option. New Delhi, January 10, 2019: The heart revving excitement driven by The Call of the Blue from India Yamaha Motor (IYM) Pvt Ltd. has spruced up to begin 2019 with the introduction of dual channel ABS enabled YZF-R15 Version 3.0 in India today. Yamaha YZF-R15 Version 3.0 was launched at the Auto Expo 2018 and has gained enormous admiration from Yamaha loyalists as its first year sales doubled up the targeted production. With the launch of the new dual channel Anti-Lock Braking System (ABS) enabled YZF-R15 Version 3.0, Yamaha has pioneered the industry by introducing the first 150 CC class model that has dual channel ABS. The motorcycle will hit the Indian roads with an all new Darknight colour along with Thunder Grey and Racing Blue while retaining all of its original features like VVA technology and A&S Clutch along with a dual channel ABS. The dual channel ‘Anti-lock Braking System’ (ABS) technology comes with adjustable fluid pressure which will further be reliable to ensure immediate braking on slippery roads. It is armed with a powerful 155 cc engine with high compression ratio resulting in maximum 19.3 PS power at 10,000 RPM delivering a torque of 14.7 N.M at 8500 RPM. With its weight (wet) of 142 kg and a massive 170 mm ground clearance, the new YZF-R15 (Version 3.0) with dual channel ABS gets a stylish look from its fully digital instrument console, LED head and tail light and an added ABS logo.